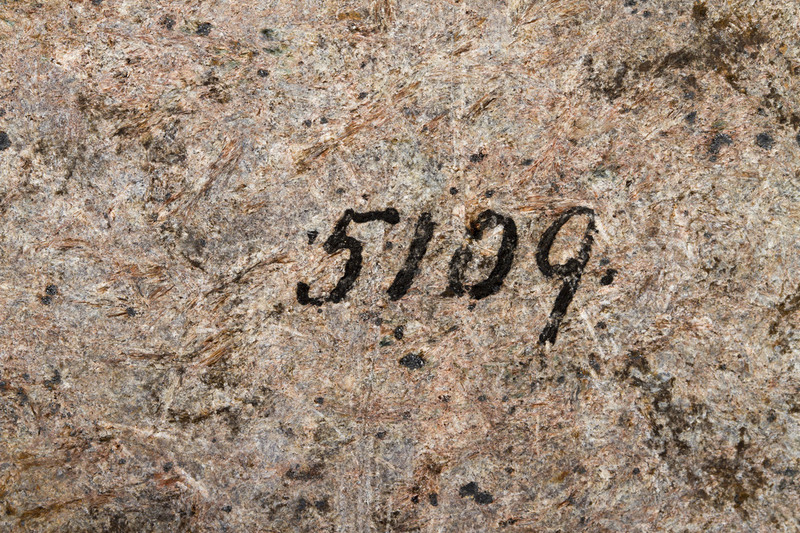 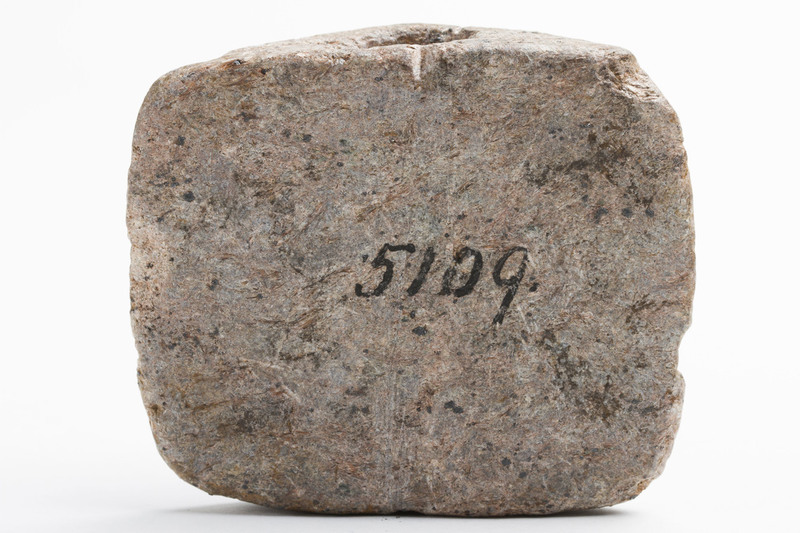 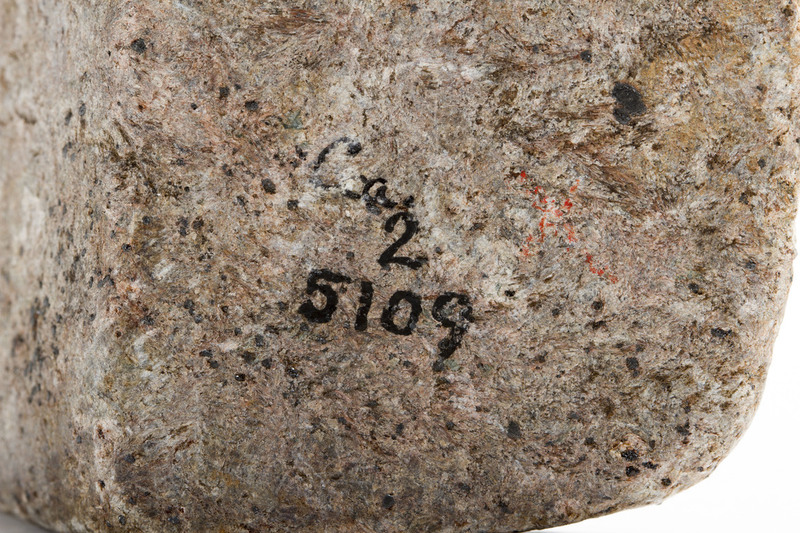 The edges of this bannerstone are chipped with deep random scratches on the back of the stone from wear or use. 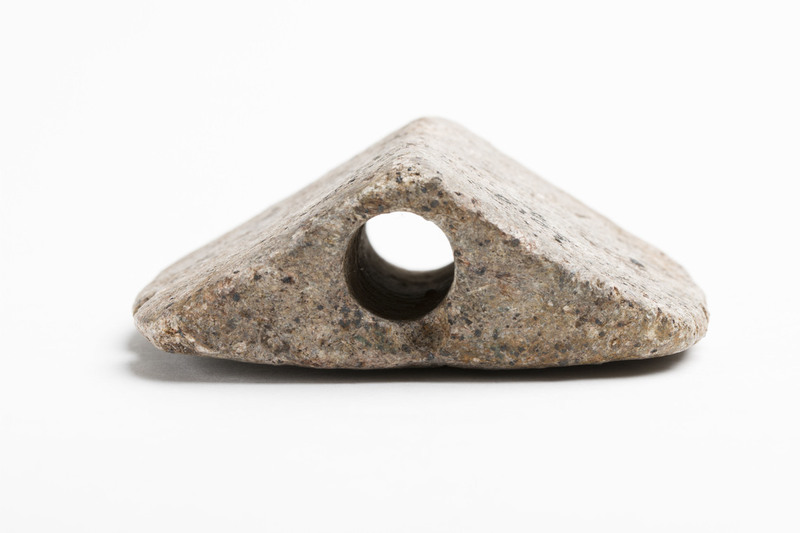 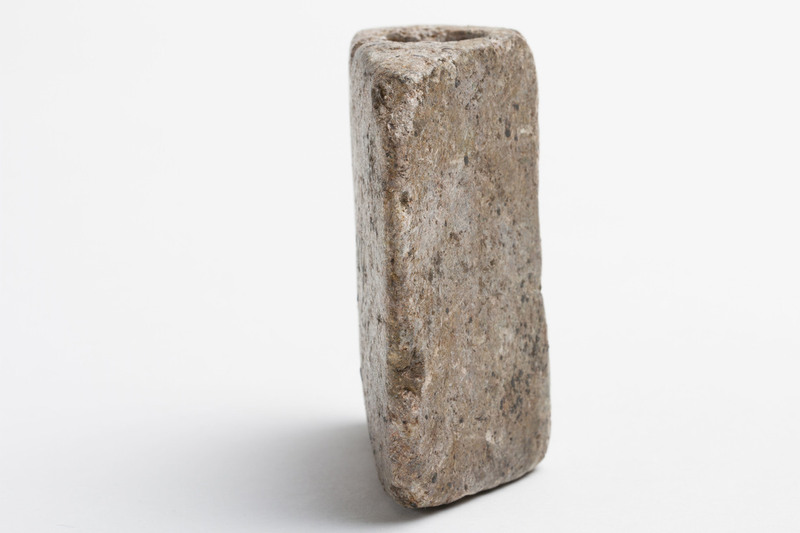 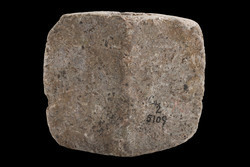 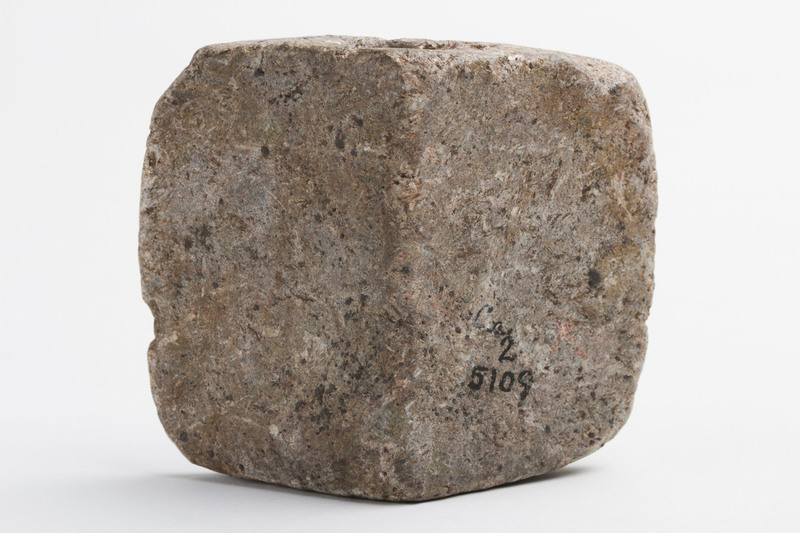 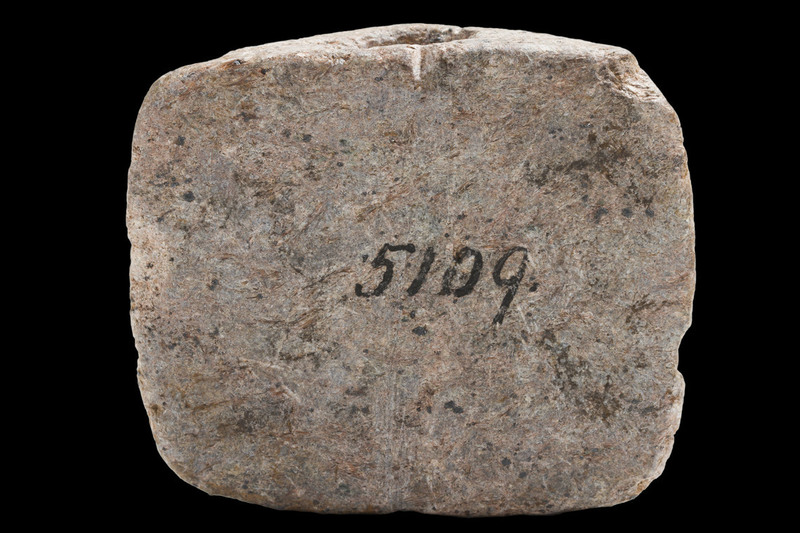 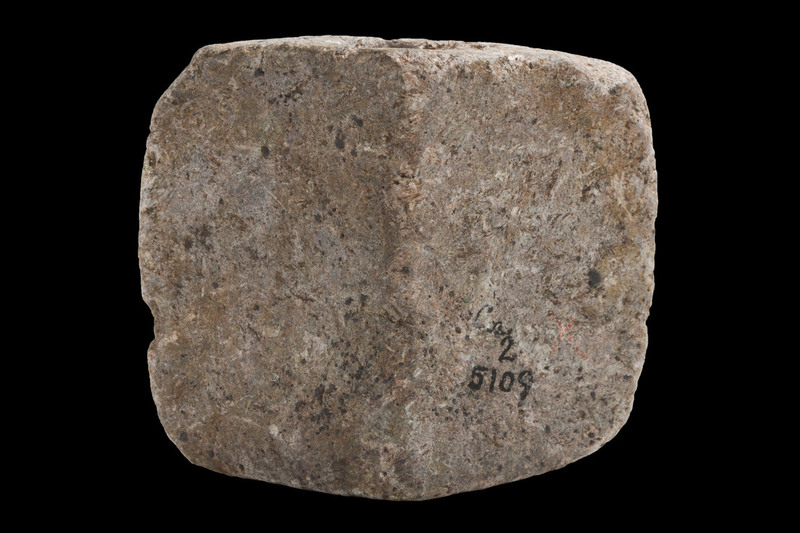 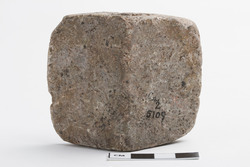 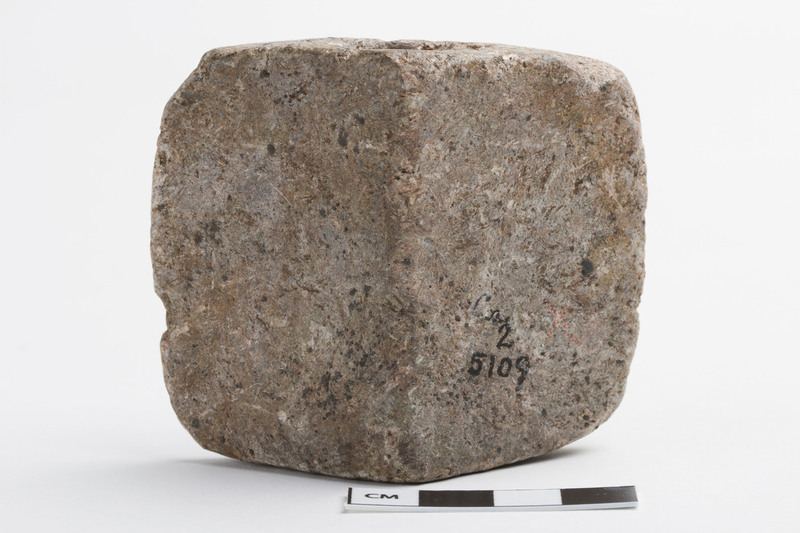 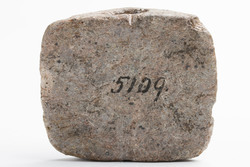 “AMNH 2/5109,” FIT Archaic Bannerstone Project, accessed April 25, 2019, https://bannerstone.fitnyc.edu/items/show/74. 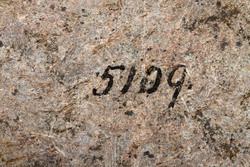 This site is an initiative of the FIT History of Art Department and the FIT Library.